Harvey Huisingh didn’t expect to end his hunting career with such a bang. 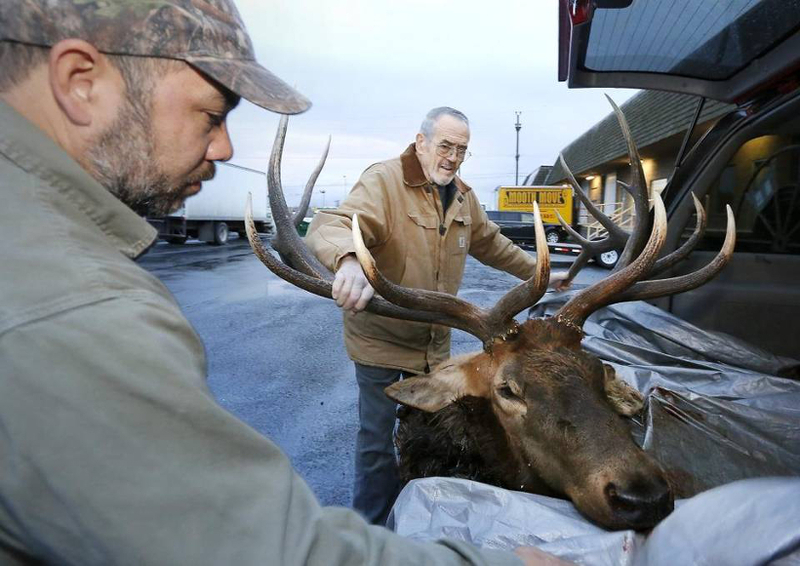 Yet after firing a lethal shot with his Winchester .270 rifle on Dec. 18 outside of Cle Elum, Washington, the 81-year-old lifelong hunter not only harvested his once-in-a-lifetime elk, but one that may qualify for an all-time listing in the Boone & Crocket record book. Huisingh had wanted this hunt for years and began applying for the tag back in 2006, aware that this was most likely his last hunt since it would take years to draw the coveted tag and he wasn’t getting any younger. 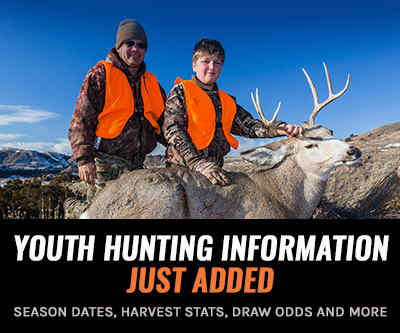 “I approached everything I did (to prepare for this hunt) as the last time I would be doing it. It’s a huge stage in my life to give up my passion of 70 years,” says Huisingh. 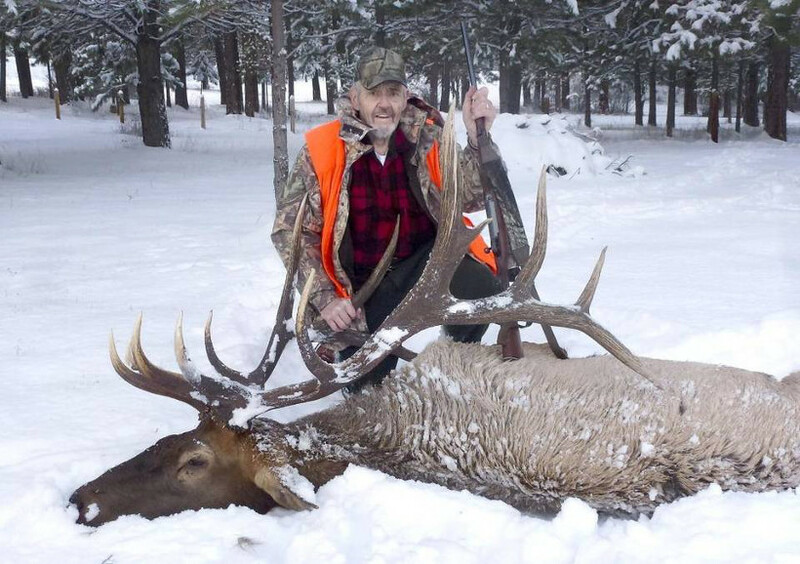 He made the 100 yard shot in the Teanaway game management unit after locating the bull with the help of master hunter Jim Hanson, who acted as Huisingh’s informal guide, during the snowy hunt in the Cascade Mountains. Steve Lilla, a family friend, accompanied Huisingh and Hanson during the 14-day hunt, which culminated in the type of trophy every hunter dreams of. 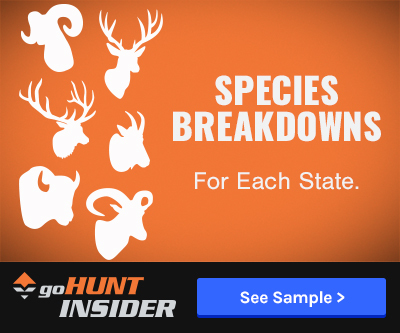 While there is a required drying period before official scoring can occur, the antlers, which have eight points on one side and seven on the other, are one in a million. Congratulations, Harvey!